It’s going to happen. The US healthcare system will collapse. It’s hard to say what’s the worst thing about American healthcare; the outrageous cost, the crappy outcomes, the endless paperwork hassles, the ridiculous rules, the dead and damaged patients, the huge financial burden for taxpayers and families. For people, that is. For insurers, pharma, device companies, it’s never been better. People are dying younger every year. 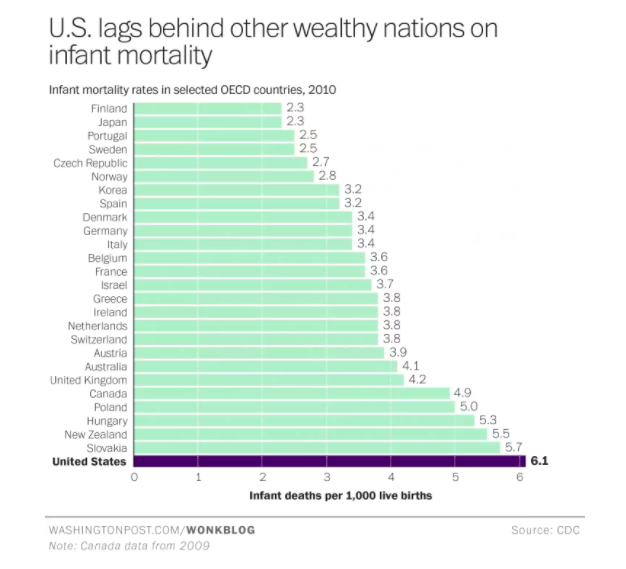 Infant mortality rates are worse than any other developed country. Costs are going up. More and more people are uninsured. Rural hospitals are closing. Employer premiums are unaffordable. All while pharma, device companies, and for-profit healthcare companies are making billions and the tax cuts are increasing families’ costs and generating huge profits for health insurers. Funny thing is, the last best hope for our Frankenstein-like healthcare system was the ACA. Based on a Heritage Foundation/Republican plan, the ACA relies on a hybrid private/public system, using Medicare and Medicaid regulation to drive innovation and improve care. That’s being gutted by the current controllers of Congress and the White House, who have no plans to fix anything. This will continue until it no longer can. No one knows when voters will rebel, but they will. And when they do, we’ll have single payer. As always thanks Joe for my early morning insurance news. I am not surprised by this as I was convinced all along that Obamacare was set up to fail or be a disaster so that it would eventually lead to Socialized Medicine. I remember talking about this with many of my family and friends and reading articles on it. Many believed Obamacare was going to fail anyway with or without the Republicans. The Rebublicans are just speeding up the inevitable. It was already on a course to be a train wreck and was getting worse for millions of Americans. Was it benefiting millions of Americans, absolutely…but at the cost of millions of other Americans. Premiums skyrocketed and continued to do so under Obamacare. For me personally I got dropped from my plan and than the same plan (slightly worse) doubled in price. For many of my friends and family the premiums skyrocketed…became unaffordable. I think Americans got tired of it and answered what they thought about Obamacare with their election choice. In fact I think the failure of Obamacare was the number one reason President Trump won the election. People voted on what was negatively and directly impacting them. The Dems master plan is unfolding perfectly and one day we probably will have a one payer system. I sure wish there was a perfect healthcare plan for everyone out there but that is impossible. We will find that socialized medicine will have its huge problems as well. Sad deal. Spencer – I’d suggest what is hurting ACA is primarily due to attempts by Dem Senators to bring along Republicans by eliminating the public option and drastically reducing the individual penalty, plus hamstringing of the ACA by Republicans, notably failure to fund risk adjustments, failure to expand Medicaid, stripping out funds for enrollment. That is NOT to say the initial implementation of the federal exchange wasn’t a disaster – it certainly was. The pre-ACA model was dying. ACA was an attempt to fix it. There is NO “market-based solution”. And Republicans don’t have any plan, idea, or view on what to do about healthcare. Republicans are not interested in “fixing” healthcare, they just don’t care about it. I agree. There is no plan in place by the government. And there is always the the question…is it the governments job to fix it or to provide healthcare to the public and just how far do they get invloved? I doubt the founding fathers set up government to provide everything to everyone. Big government seams to screw up a lot of things. I get there is a need for government especially for infrastructure and protecting its citizens but just how much they should be involved in is the big question. Thanks Joe. Thanks as always Spencer. Agree that government does make mistakes – unfortunately big insurers do as well – heck lots of organizations do. I look at what Purdue Pharma and other opioid manufacturers and distributors have done, what Aetna’s California medical directors allegedly were doing, and the stuff I’ve seen from other big healthplans and compare it to Medicare. Generally, Medicare is much better received and rated than the commercial healthplans. Clearly we need stronger enforcement and laws to stop future disasters like opioids. Spencer…just because it was not mentioned in the Constitution does not mean the Founders would not see reason (after all, they were living in the Age of Reason) and conclude that the so-called free market does not work where a person’s health is concerned. That is why they supported an Act that created the way to take care of merchant marine sailors injured on the job, or who came down with some disease to get health care. Every ship entering and leaving a US port was to collect money from to use by the sailors in case of illness. They were given a voucher that could be presented to PUBLIC or private hospitals, and they would be treated. This act eventually was extended to cover inland ports and is now the Public Health Service. So, you see, we’ve had “socialized medicine for over two hundred years, only it was for a special class of people. We have expanded that special class to include the poor, the elderly, and children. But the GOP does not believe in any of that, and so are out to eliminate them altogether, as they did recently with CHIP. Your reluctance to accept government-sponsored health care flies in the face of history and reality because we’ve done it before and other nations have it, and it works for them. No system is perfect, but at least single payer would take care of everyone. Richard – wasn’t aware of this – thanks for the history lesson – much appreciated. I appreciate the info. I will look into that history some more. We could go back and forth on socialized medicine and the benefit/problems it gives people in other countries. There are stories from some saying they love it and stories from others say it is a bad deal. I personally have heard stories on both sides. A friend of mine told me that his uncle was showing signs of a possible brain tumor but had to wait 6 months to get an MRI…well it was to late by that time. He died 2 months after getting the MRI. You don’t have to wait to get an MRI in America if you need it. With socialized anything quality takes a hit. He obviously isn’t a fan. But I also have family and friends from England and they like it and think it is a good thing. To think a single payer system would solve our countries healthcare system is just not accurate (just like gun control not being the answer for solving school shootings when the issue is more a break down in the home and mental health). There is a lot more to it. A lot of problems I don’t think people are thinking about. One of course being the cost of it. Can you imagine the tax for a single payer system. If a single payer system does occur then it will be under the Dems watch so it would be assumed that the healthy (those who have taken care of themselves) and the middle class would take a huge hit on taxes. Imagine the tax hit the middle class would take…I sure don’t want to find out. I don’t have all the answers and obviously nobody does. To bad there isn’t a system that fits all. Thanks for the conversation Spencer. Appreciate your open-minded observations and sentiments. Couple thoughts. First re cost. We need to squeeze a LOT of cost out of the system; there’s so much waste and much of it damages people. IF and when we succeed in doing that, the cost comes down. Clearly the current market-based approach hasn’t succeeded; ACA is primarily a market-based approach. I don’t know why the middle class would have to take a tax hit, when we just gave a 1.4 trillion tax cut to rich people and corporations. There’s money there – there just isn’t the will to use it. Second, I’ll have to disagree with you on school shootings. We are the only country where this is an issue – and it is a huge issue here. Are so many more of our kids that much more mentally ill than those in other countries? 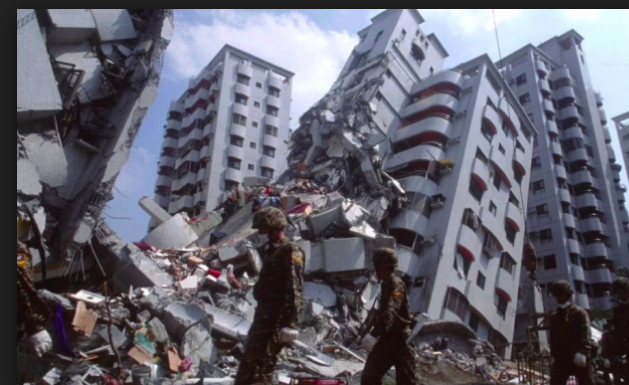 SO much less stable, more violent, from “worse” homes? Of course not. Fact is, our kids have access to assault weapons, and kids in other countries don’t. Absolutely – the only question is how long will this take? Maybe you should solicit best guesses from your readers. I think it will take about 10 years. The “US Healthcare system” is designed fix “broken/sick people” and does not, promote “health”. You can even make the argument that the US Healthcare system is the best in the world in fixing the most broken of people (cancer/transplant/brain surgery/etc.) But that is besides the point. The ACA did little if anything to address the promotion of health, and neither do any of the healthcare bills I have seen to date. The ACA attempted to increase “access to care” through government regulation of existing healthcare practice and expansion of government coverage (medicaid). Access to care, while important when you really need it, is only a minor player in overall “health”. Healthy behaviors (diet/excercise/education), environment, and genetics account for almost 80% of our “health” with healthy behaviors playing the largest component (50%). https://bipartisanpolicy.org/library/what-makes-us-healthy-vs-what-we-spend-on-being-healthy/ I have read commentary that suggest access to care represents more than 10% of our “health” but highest estimates are only 50%. I think as a country we are fighting the wrong battles when it comes to addressing our countries health. We are fighting the “access to care” battle and not fighting or discussing how as a country we adopt healthier behaviors for ourselves and our children. Well said Scott. Our healthcare system is an ambulance at the bottom of the cliff when it would be more effective having a fence at the top of the cliff. The problem is agency. Where is the balance between someone having their agency to choose how they live, eat, drink, etc versus the government getting involved in helping people be healthier? Is there positive effect in just promoting healthier eating? Yes, I am sure there is some but I am curious how effective that is. I guess it depends on how hard they hit it. They have dramatically improved people not smoking as they have hit that hard. Maybe they need messages and nasty looking pictures on cereal boxes, fast food and ice cream shops. Promoting is good, forcing is a slippery slope. But yes I agree the over all health of a lot of people in our country (including myself) is not well and most of the health issues can be prevented with the right diet and exercise. thanks for the note Scott. I’d suggest that the ACA did a lot to address health improvement, however I’d absolutely agree we aren’t doing enough to make people “healthy” and reduce their risks. affordable healthy food, reductions in gun violence, access to exercise facilities, protection from pollutants are all critical and fall outside ACA. So if they go with Single Payer will they get rid of all the intermediaries, coding, and all the redundant paperwork? Will the docs be put on salary and just assigned a patient load? Will the docs be anchored to geographical area? I am quite familiar with single payer in Europe. Its quite eye opening to talk to their providers, the GP’s get sent to an assignment area. Hi Tony – there are as many versions of “single payer” as there are countries doing it. The Swiss, Germans, Japanese, British, and French all have very different takes on this. Previous Previous post: Hey Washington, where’s the health care fix? Next Next post: Are you being gamed?